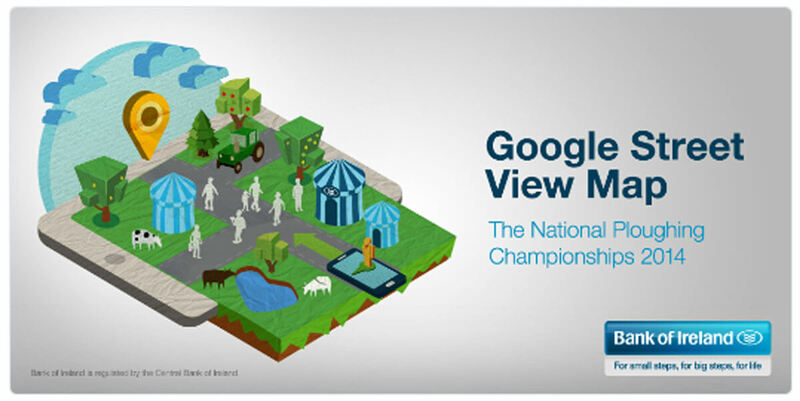 Bank of Ireland helped the 200,000= visitors to the National Ploughing Championships plan their day out in advance thanks to Street View technology. Experienced commercial photographers ‘Contemporary Photography’ were chosen to carry out shooting the virtual tour for Bank of Ireland. The Bank has invested in providing a 360º virtual tour powered by Google’s Street View technology of the National Ploughing Championships, and is the first outdoor large scale event of its kind to be mapped in Ireland. The map allowed the 200,000+ visitors who attended over the three days to plan their schedule in advance using Google Street View to walk through the 800 acre site, comprising of over 1,400 exhibitor stands. For those who are not able to attend the event, they were able to be part of Ireland’s agricultural showcase from the comfort of home on their PC, tablet or mobile device. Sean Farrell, Head of Agriculture, Bank of Ireland Business Banking said: “We are very excited to use Google mapping at a large scale event. This will be of enormous assistance to both exhibitors and visitors and is further evidence of how technology is changing our lives. The Bank has had a long and very successful association with the National Ploughing Championships and delivering a first at this event is very important to us. We are providing more than 50% of all new credit to the agri sector and we continue to have ambition to grow our agri book. Our objective is to add real value to the sector at every possible opportunity and Google mapping of the event certainly achieves this”. Commenting NPA Managing Director, Anna May McHugh said: “The NPA has a proud tradition of pioneering the use of new technology, dating back to 1931. 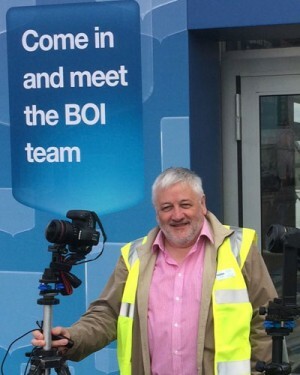 I am personally delighted that Bank of Ireland is enabling the event to be experienced from wherever you are in the world, through Google Street View”. This article is apapted from an original by Agriland.